Represented clients before the Pennsylvania Environmental Hearing Board in the many stages of administrative litigation, including successfully defending permitees from third-party appeals and petitions for supersedeas. He has litigated appeals involving oil and gas permits, NPDES permits, erosion and sediment control permits, noncoal mining permits, sewage facility permits, and safe drinking water permits. Represented clients in permit negotiation and enforcement proceedings before the U.S. Environmental Protection Agency, U.S. Mine Safety and Health Administration, and the Pennsylvania Department of Environmental Protection, in addition to other Pennsylvania state agencies, such as the State Ethics Commission and the Department of State. Provided companies with environmental due diligence advice in real estate transactions, such as the acquisition of a chemical production facility and the purchase of a one-million square foot warehouse facility, among other transactions. Drafted and negotiated numerous environmental covenants with the Pennsylvania Department of Environmental Protection. Immediately prior to joining Saul Ewing Arnstein & Lehr, Andy was Assistant Counsel with the Pennsylvania Department of Environmental Protection's Bureau of Regulatory Counsel. While there, he counseled the Department as it assumed permitting and enforcement jurisdiction from the U.S. Nuclear Regulatory Commission, which involved issues related to nuclear safety, radioactive materials licensing, the medical use of byproduct material, environmental surveillance, and the decommissioning of radiologically contaminated sites. Prior to that, Andy served as Assistant Counsel to the Pennsylvania Environmental Hearing Board. In this capacity, he counseled the Board on complex environmental laws and regulations and helped judges draft opinions and adjudications relating to oil and gas, mining, solid and hazardous waste, and air and water quality matters. Andy brings to the firm a strong grasp of Pennsylvania's complex environmental laws and regulations, as well as an insider's knowledge and perspective on how the Pennsylvania Environmental Hearing Board and the Commonwealth's Department of Environmental Protection operate. In addition to his environmental practice, Andy advises companies and government agencies on the impact of the Pennsylvania Right-to-Know Law on their operations. He has also litigated Right-to-Know Law disputes before the Pennsylvania Office of Open Records, the courts of common pleas, the Pennsylvania Commonwealth Court, and the Pennsylvania Supreme Court. Andy frequently lectures on issues related to oil and gas regulation, erosion and sediment control and NPDES permitting, and environmental enforcement actions. Andy has served on the council of the Pennsylvania Bar Association's Environmental and Energy Law Section since 2009, and coordinates that Section's scholarship program for law students to attend Pennsylvania's annual Environmental Law Forum. 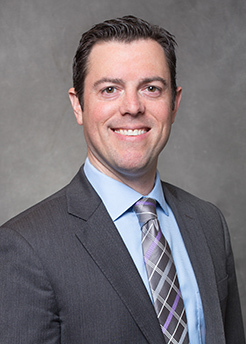 Andy was named a 2013 Lawyer on the Fast Track by The Legal Intelligencer and was selected for inclusion in the 2013 Rising Stars list in Pennsylvania Super Lawyers for his environmental law practice. Going Green in a Small Firm: Is it for you?